United Nations (United States) (AFP) - Two of the world's poorest countries, Chad and Niger, are getting little attention from donors as they struggle to cope with refugees, a food crisis and grinding poverty, a UN official said Tuesday. Only 17 percent of the $527 million appeal for Chad has been pledged while donors have come up with only 25 percent of the $375 million needed for Niger. UN aid official John Ging said it was "shameful" that so little aid was flowing to the two countries, which are hosting 850,000 refugees from a slew of nearby wars, from the Boko Haram offensive in Nigeria to the fighting in Central African Republic. Niger and Chad are "islands of stability" in a region rife with conflict, said Ging, who has just returned from a visit to the two countries. Ging said "it is imperative that we do not allow these two countries to be forgotten." Niger ranks last on the UN's development index while Chad is two notches up from the bottom, indicating high levels of poverty, low life expectancy and poor access to education. In Chad, one in four people, or three million, are in need of aid, with 2.4 million people facing food shortages. 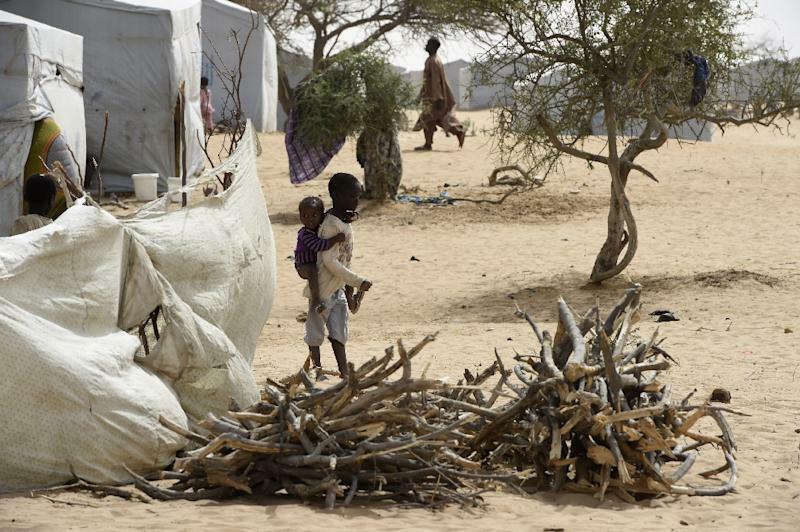 Some 2.6 million people in Niger are food insecure.